Marketing has completely changed and now the battle for customers is in the digital space. A website is one of the most important tools that any business can have today. A website is a vehicle that you use to build traffic and generate leads and sales for your business. A website is also one of the most important elements required for you to engage with your clients. Your website is the first opportunity you have to make a lasting impression, which is why the design is one of the most important things you need to pay attention to. Website visitors usually decide within three seconds whether to leave or to stay and engage with your website. While your website might have lots of valuable, informative, and quality information, the look and feel of your website, as well as the general flow, can sink your digital marketing strategy before you actually get started. When you are designing your website, it is important to take into consideration a streamlined, impressive, and user-friendly website. 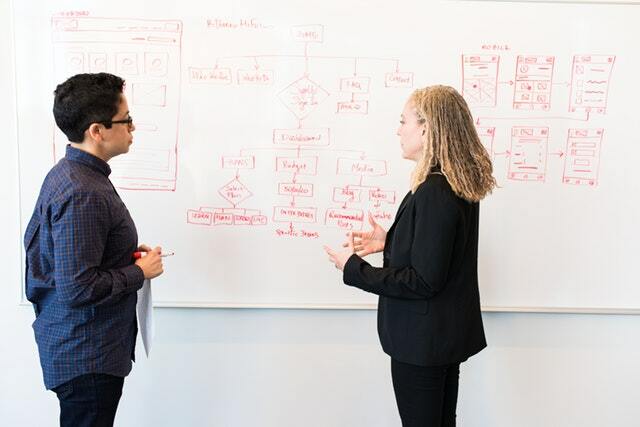 In the following guide, you will learn about 20 website design best practices for SEO to help you increase conversions and leads. Blogging is one of the best ways to engage your audience and bring attention to your brand. It is a simple yet effective way to give something free to visitors, which usually helps boost conversions especially if the content answers a question or resolves a problem. Blogging is such an effective approach to boosting your brand that most companies provide this style of relevant, in-depth content today. 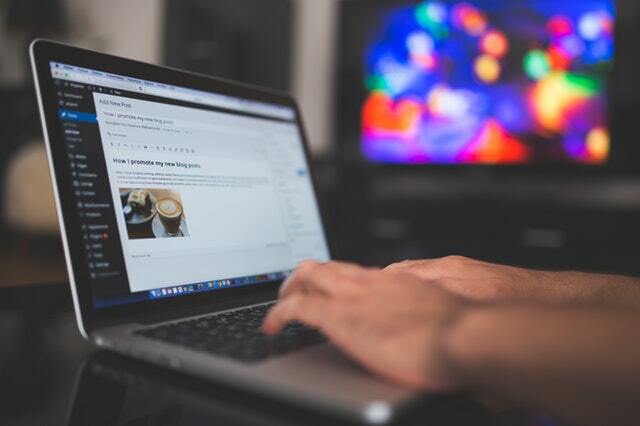 Today, blogging and digital marketing, in general, is all about engaging readers and offering them something of quality that they will remember for a long time to come. Today, it is no longer acceptable to assume which devices people that visit your website are using. It could be a desktop, but it could also be a tablet or a different kind of mobile device. 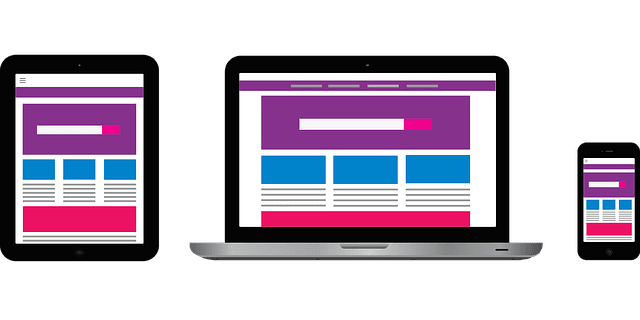 The experience that a visitor has with your website will be largely dependent on the size of their screen, which is why responsive design is something you need to implement. It is estimated that about 80 per cent of users will stop interacting with a website if the content is not displayed properly on whatever device they might be using at the time. It is actually a huge deal for users since a seamless experience, regardless of the device used, is highly desirable. Responsive design that adapts to your website depending on the screen size is a solution that your business should adopt. Website developers almost always try to include a company logo that stays static somewhere in the design. This means that the logo should be viewable from just about any page on the website. However, proper branding is much more than ensuring that your logo stays visible. The images you use, your company name, and even your content should ideally be forms of branding. It is very important to ensure that your branding does not seem too salesy. However, you should still strive to ensure that your visitors have your business in mind whenever they are on your website. It is comparable to offering visitors a story behind your business as well as what it represents and then carrying those emotions throughout your website and its design. Images and backgrounds are not the only things that you need to colour when it comes to your website design. 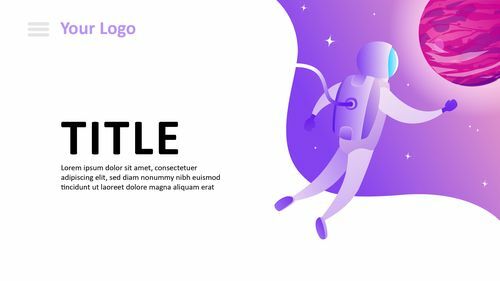 You can also use contrasting text as an effective way to draw the eyes of your visitors to specific information that you would like them to see immediately. For instance, let’s assume that the background of your website is dark grey in colour while the text is white. Using the colour green, orange, or even light blue for important links or calls to action attracts the eyes of your visitors and engages them. Nothing is more annoying or frustrating for people visiting your website than finding an interesting article, clicking on a relevant rink, and finding a “404 Not Found” error page. It is always advisable to ensure that all the links on your website actually direct visitors to existing pages. 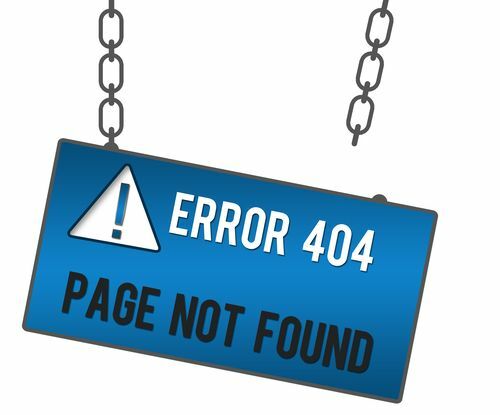 If a user lands on your website in search of information and clicks on a broken or dead link, it makes your website seem outdated and unreliable. It is important to check your external and internal links to ensure that they are still alive and valid. If you find any broken link or links on your website, ensure that you remove it replacement and then find a suitable replacement. It can also be an excellent idea for you to design a custom 404 page that can steer your users in the right direction. Human faces are great when it comes to connecting with your audience and inspiring emotion. They are also usually perceived in a more positive way. Part of the reason why this is the case has to do with the basic human trait for registering emotions and empathy. It is why you often find images of happy, smiling people in the images used in business websites. Posts that feature human faces on Instagram are more preferred since they are about 32 per cent more likely to receive comments and 38 per cent more likely to receive “likes”. It means that being “real” is far more valuable than something more artful. Still, it does not mean that you shouldn’t include artful content, but rather understanding how to integrating actual people can have an effect on your audience. User Experience (UX) is a phrase that’s best used to describe a website that’s both easy and enjoyable to use. User Experience is a design concept that states if visitors stay longer on your website, they are more likely to make a return visit later. However, this only works if it is implemented properly. Visitors will only stay longer on your website if you optimise the features that make it easy for them to use your websites, such as visually pleasing graphic design elements, fast load times, mobile responsiveness, expedited checkouts, and easy navigation. Content is another important element in high-quality user experience. Few things are worse than a website that’s just surface elements with no substance beneath it. Content that’s both valuable and relevant to your target market will provide your website with what you need to attract and convert visitors. Search engines such as Google also love websites that have a high user experience rating. Search engines also benefit financially if users enjoy websites that they give a priority ranking too. Focusing on high-quality user experience can help improve your SEO results. 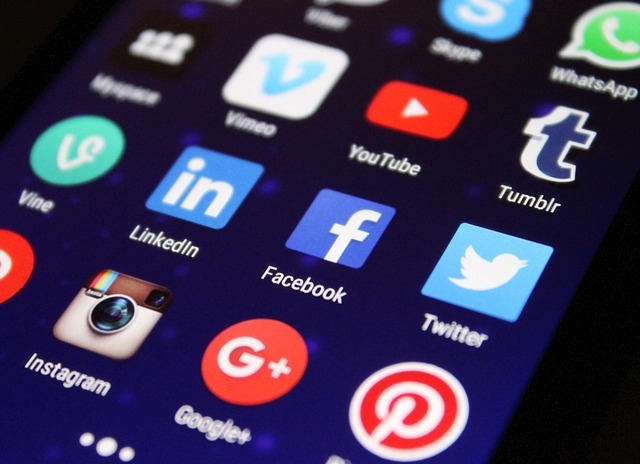 Social media is still an important aspect of human interaction, while content marketing is still an incredibly effective marketing technique. In fact, about 10 per cent of marketers around the globe prefers using social media. However, it takes a lot more than occasional posts to engage your audience. Social media is designed for human interaction i.e. being social. It means commenting, replying, and sharing content that your followers are likely to be interested in even if you did not create it. The truth is that social media will most likely not go away, which means that you need to capitalise on it if you wish to stay competitive. Images sizes play an important role in the performance of your website. Of all the elements that can be added to a website, images are usually the ones that take the longest to load. It is the reason why you need to keep the image sizes as low as possible. 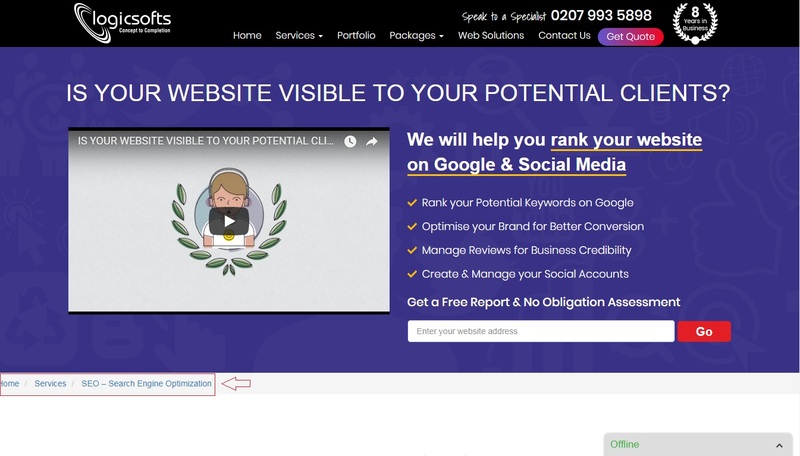 Your website should ideally load within three seconds at most. This is because most people will abandon your website if it fails to load within this time frame. Unfortunately, the average load speed is about 8.66 seconds. What this means for you and your website is that you should strive to keep the load speed below 8 seconds so that it is faster than average. Doing this also means that your chances of losing a customer are much lower than an average competitor.You can use compressor.io to compress heavy image file without losing quality. Landing pages are very important when it comes to making online conversions. However, not all webmasters implement the best web design practices when they create them. The truth is that many landing pages from paid systems such as Google Ads are usually structured poorly and actually lose customers. One of the best approaches to creating highly converting landing pages is to keep them simple. SEO should be your focus, which is why you need a brief call to action as well as a brief introduction too. It is also important to have the right content to rank well in the search engines. 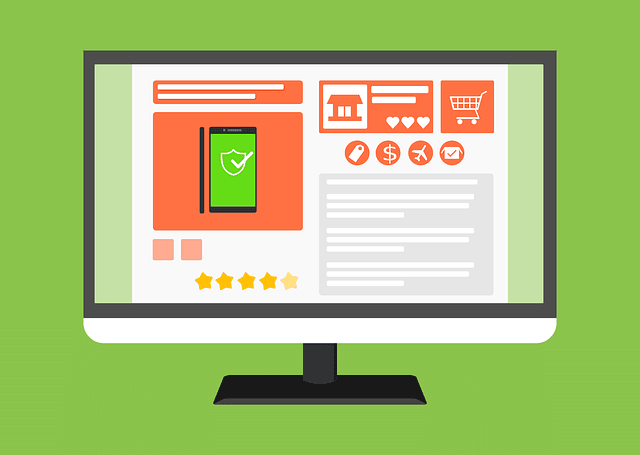 Offering your visitors and customers too many options is likely to slow down the decision-making process and can even confuse undecided customers, which can increase the odds of cart abandonment. Shoppers today want a quick, simple, and streamlined process. This is particularly true as Internet users want quick transactions from smartphones. This includes categorizing your content properly. Optimising categories makes it easier for your visitors to find exactly what they are searching for by limiting options in every segment. Understanding this is important especially if you wish to start a blog. Incorporating more video in your website design is a great step towards engaging with your visitors. It is estimated that 55 per cent of the people that watch videos actually watch them to the end, which is more than other types of content. Video is an incredibly powerful and popular medium today that marketers are increasingly implementing in their day-to-day practices. About 89 per cent of marketers conducting business-to-business interactions use content marketing to do it, and a significant portion of it is via video engagement. Video can be a useful tool for showing visitors how to use products, the impact of services, or simply offering an entertaining way to share your brand. This leads to increased engagement with your website, which is good for ranking on the search engines. You might be surprised to learn that there’s such a thing as excessive design. Images and video can be very effective when it comes to gaining attention, but they can also lead to confusion especially if your website appears too crowded. Simply put, you want to make use of “white space” more. It does not mean, however, that you have to adopt the minimalist approach. White space does not actually mean that the area between your content and images should be “white”. The best website design best practices actually involve using different colours and background images. 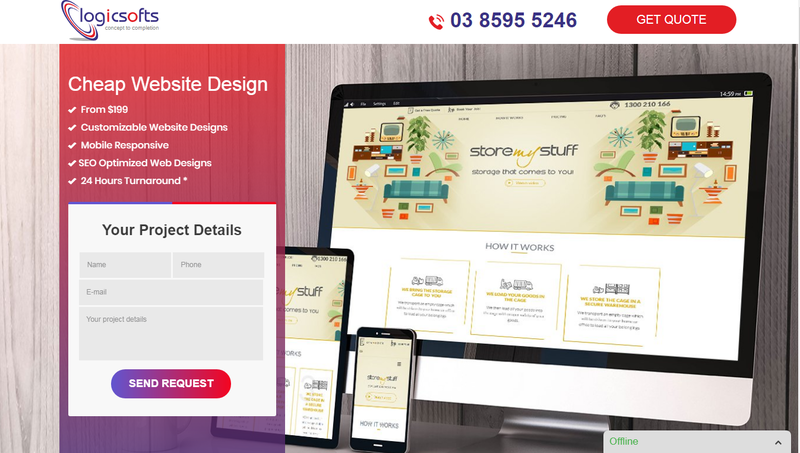 Simply put, you should strive to ensure that your website is not too distracting by appearing cluttered. This includes the images, banners, content, and tools that you may want to include on your web pages. A cleaner looking website is likely to increase engagement, which is good for SEO. 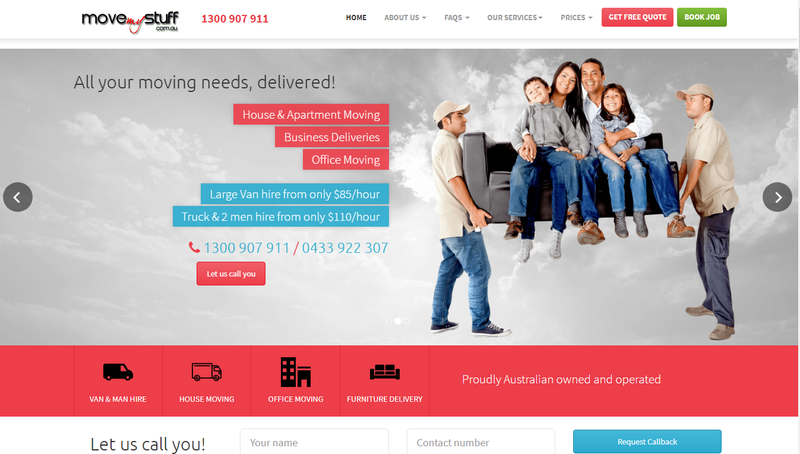 An animation is an engaging aspect of many website designs. This is particularly true if such animations are interactive for users. However, it does not mean that all elements on your website have to be animated, but slight movements and animations help keep your visitors interested in your content. 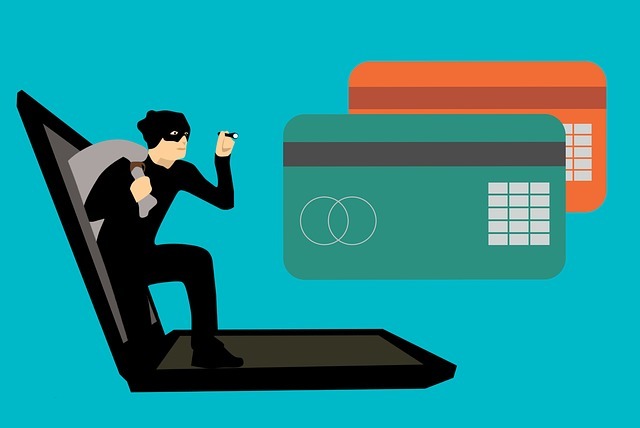 You must never underestimate the importance of website security, even when developing a basic website for company information. Today, bots constantly scour the internet for easy targets and they never care whether your website receives a hundred or a million visitors a month. Securing your website involves everything from the use of strong passwords to scanning the file system routinely for malware and hacks. The slightest exploit is all it takes for your website to start spamming people that don’t even know you exist. It is always advisable to keep a backup of your website or blog available. It can be quite useful in case of disaster whether it is a coding mistake when designing or it is a hacker. Breadcrumb systems are often implemented by developers on their websites. Breadcrumbs refer to a short series of links that display how content on a webpage is structured. It includes categories within e-commerce and even blogs too. Breadcrumbs are important for helping users find their way back to the previous sections of your website. Rather than hitting the back button or getting lost in the content, visitors can simply click the links provided to return to a specific starting point. Breadcrumbs are important for making your website easy to navigate. A Content Management System (CMS) is a powerful tool for getting your website up and running within the shortest possible time. The base framework is already there, and content is all that many of them need to get started. Developers often use CMS applications since it helps reduce the design time. Systems such as WordPress are highly customisable and can become almost anything that you desire. 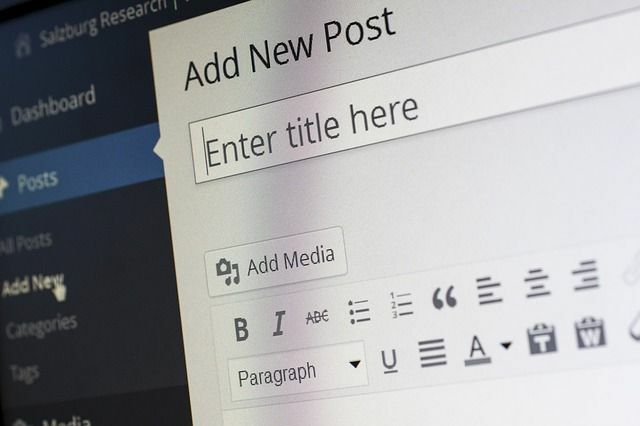 It is why WordPress is used in over 31 per cent of the monitored websites online since it is a simple, flexible, and designer-friendly system. It is important to closely monitor data when you are designing a website for the audience you are targeting. However, the monitoring should go far deeper than powering your data collection using Google Analytics. Tools such as heat maps can be incredibly useful because they show where visitors are scrolling, clicking, and reading on your website. This is usually done by tracking the mouse pointer movements, which is usually a good indication of eye movements too. 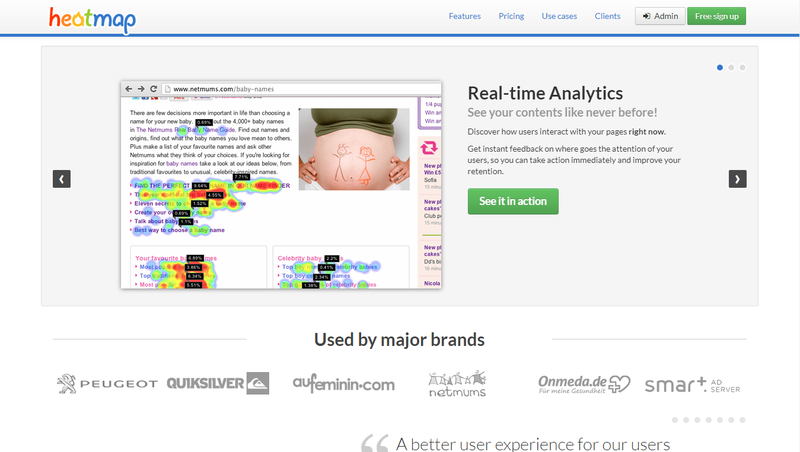 Heatmaps are some of the most effective website marketing tools for growing your audience and enhancing sales. This information can help you restructure the design while ensuring that important elements are never outside the field of view. Floating elements on your website are those that remain regardless of whether users click on a link or scroll down. Users often use the term “sticky” to refer to floating elements and they are used to provide a way for visitors to stay in control during their interaction with your website. For example, sticky social links are important for reminding users that they can share the product, content, or service at any point during their visit. A floating navigation bar gives users a way to manage the website without the need to scroll up or down. Websites often use things such as floating videos relevant to the content that a visitor is reading. This provides an option to either watch the video or keep reading more. One of the most effective ways to retain your visitors is using preferred communication. Not everybody wants to send an email or make a phone call. For instance, close to 48 per cent of consumers prefer using live chat to other forms of communication. It is important to make the forms of communication plainly visible and easy to access. In reality, people usually feel more comfortable buying from companies that are easy to contact. Fortunately, elements such as chatbots are quite easy to use and have the potential to make a significant difference in leads and sales. It is always important to keep the users in mind when going over the website design best practices checklist. The focus should not be on what you would like to see on the website but rather more of what your users want to experience. Just because you think that something looks great, it does not necessarily mean that your visitors will feel the same. Always pay close attention to your data, since your customers will guide you to a layout that’s more appealing with a higher rate of engagement. The internet is too vast of an area for you to effectively navigate on your own without facing hurdles. 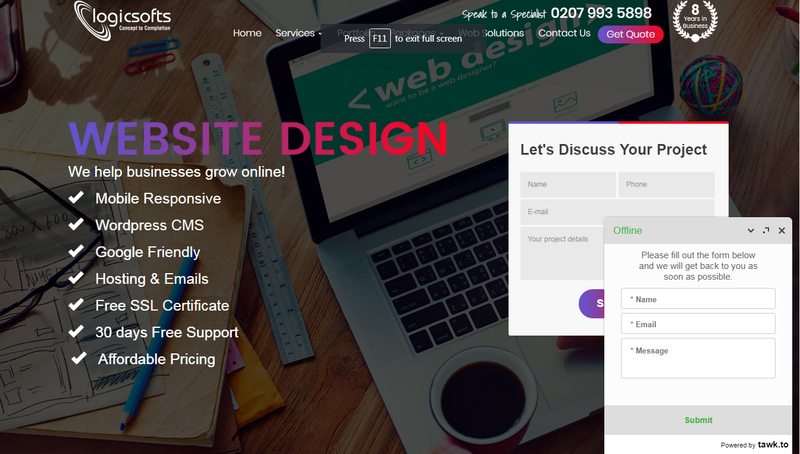 Having a web design company or professional by your side can help you create a website that achieves the set goals and helps build your business. 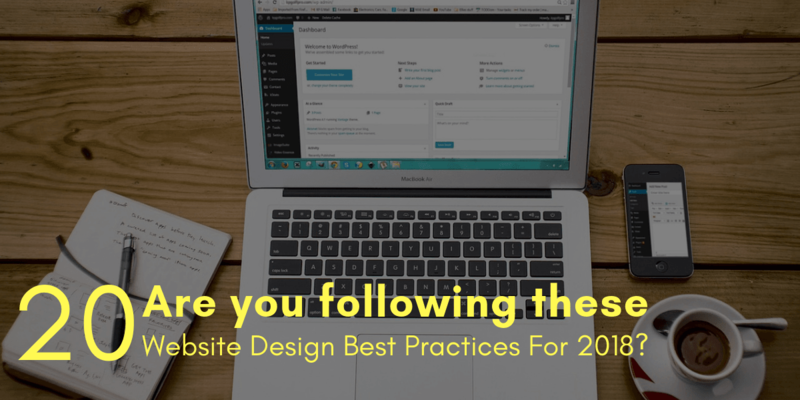 Contact a reputable web design company/professional today to learn more about the web design best practices for 2018 discussed here and see how they can be implemented on your website.